Paul Benoit, Founder & CEO @ Qarnot Computing, presented their very innovative and interesting concept of distributed HPC (High Performance Computing) through heating radiators (!). Their two products Q.rad and Q.ware do permit local heating and distributed HPC capability. The Q.rad radiator includes computing components, local WiFi, security system and more, as well as direct energy management. The system is remotely managed via a secured cloud system through the Q.ware platform. Applications: Paul and his company are currently deploying both commercial and pilot projects. One specific industry area is where computing is an essential brick of the development and even more where computing may need to be close to the end-user. 3D-animation development is one important area using a lot of computing to render live images. Future IoT applications needing computing for profiling or calculations with the need to be close to the users (connected cars, robots, medical devices…). Check them out, it is disruptive innovation! 2 – AUGMENTED REALITY FOR IMPROVED IT MANAGEMENT! Frédéric Orsoni, Manager Architecture & Prospective Technologies, and Jean-Jacques Zwald, Manager Datacenter group & Director of Transverse Projects @ Crédit Agricole came to share an innovation project and initiative started only before summer 2015. Crédit Agricole has organised an internal innovation competition to give the opportunity for employees to present ideas and implement the same into a POC (Proof of Concept). One (winning) project was augmented reality using advanced connected glasses. The aim was to give distant expert assistance to local teams for (i) an installation or modification or (ii) an incident management (below image from Epson website). 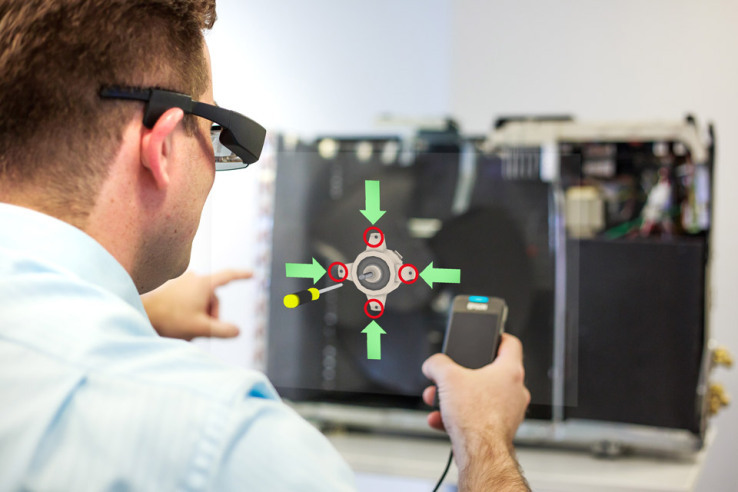 Frédéric informed that there are both pros and cons and that there are still some issues with wearing and using the available connected glasses. However, the principle is very interesting and it is not only the IT infrastructure sector that is interested in the outcome of this project. He is certainly open for exchanges with interesting industry peers. Central telecom location: Marseille is very well located at the sea, close to North Africa, in direct connection with the Middle East and indirectly connected to South Asia. 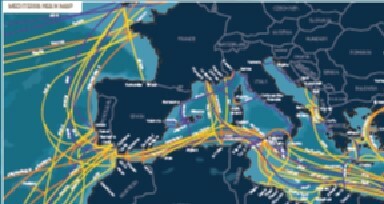 High bandwidth paths are laid out via terrestrial cables and sea cables (below image from Alcatel network map). Large bulk communications are mainly done via sea cables and therefore giving Marseille an important European status for both in and outgoing IP traffic. This is probably not a new fact for telecom specialists but not as obvious for many IT managers and project deployment managers.For info, Interxion acquired a year ago the SFR (French mobile operator, now Numericable) data centre site in Marseille with the certain objective to have a direct POP (point of presence) between several world continents.For info, Interxion acquired a year ago the SFR (French mobile operator, now Numericable) data centre site in Marseille with the certain objective to have a direct POP (point of presence) between several world continents. For info, Interxion acquired a year ago the SFR (French mobile operator, now Numericable) data centre site in Marseille with the certain objective to have a direct POP (point of presence) between several world continents. It should be noted that I am independent of the above companies and information given are my own interpretations.